FIFA secretary-general calls for ‘humane outcome’ as concern grows over extradition of detained refugee player. Football’s world governing body FIFA has urged Thailand to release a Bahraini football player who is in detention awaiting extradition proceedings, despite having refugee status in Australia. In a letter addressed to Thai Prime Minister Prayut Chan-o-cha, FIFA Secretary-General Fatma Samoura called on Thursday for an urgent “humane outcome” to the case of Hakeem al-Araibi, who lives in Melbourne but was arrested while on vacation in Thailand last month on an Interpol notice. Bahrain wants its former national team player returned to serve a 10-year prison sentence that was handed down in absentia after he was accused of vandalising a police station – a charge he denies. In the emailed letter, Samoura asked Chan-o-cha “to take the necessary steps to ensure that Araibi is allowed to return safely to Australia at the earliest possible moment, in accordance with the relevant international standards. He was arrested in November by Thai police, who said they were acting on an international arrest warrant – known as an Interpol “Red Notice” – issued by Bahrain, when the footballer arrived in Thailand for his honeymoon. Samoura said she wants to meet the Thai government with player union officials. Al-Araibi’s detention has caught the attention of global rights groups, footballing bodies, fans and players, who have stepped up calls for his immediate release and safe return back to his adopted homeland. 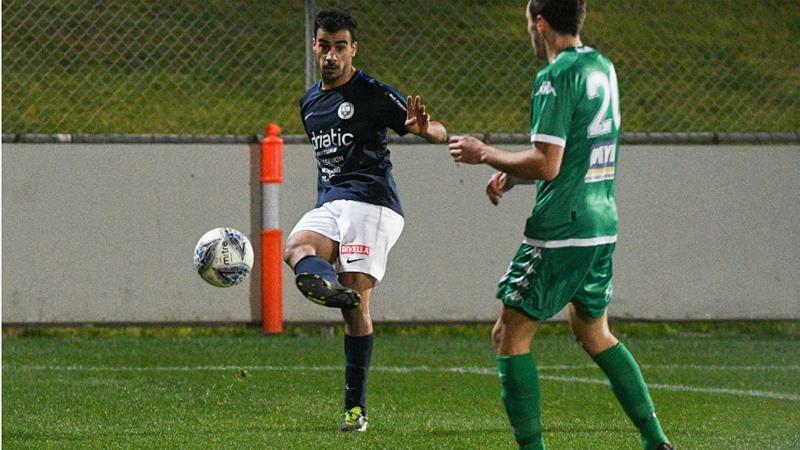 Supporters are using the hashtag #SaveHakeem on social media to voice their concern. On Friday, former Australian football captain Craig Foster, who is campaigning to free al-Araibi, called on FIFA to sanction the football associations of Thailand and Bahrain if they fail to help. Foster submitted an open letter to FIFA President Gianni Infantino, calling for the organisation’s representatives to meet al-Araibi in prison and to urge the sport’s Asian governing body to issue a statement supporting him. “If the life of a young player is not saved, if every effort is not made, and if the life of Hakeem al-Araibi in the eyes of the football governance officials and the football community is not equally as valuable as both the lives of the officials…..then the soul of football is dead,” Foster said in a joint press conference in Bangkok, with Phil Robertson, deputy director of Human Rights Watch’s Asia division. Al-Araibi has said he believed he was targeted for arrest because of his Shia faith and because his brother was politically active in Bahrain. Bahrain has a Shia majority but is ruled by a Sunni monarchy. The country has gained a reputation for harsh repression of critics since its failed “Arab Spring” uprising in 2011.